Glareart is a professionally organized company, We are mainly focus in wedding photography. If you are looking to preserve the blissful memories of your wedding day forever, You should trust the professionalism, experience and elegance of Glareart. Our unique style, creative imagination, work experience and knowledge will capture your special day at its best for the rest of your life. we are passionate about our work, our sense of photography which allow us to take images in a manner which gives you the most complete visual and sensitive memories you could possibly retain. Our style and creativity turns your special occasion and beautiful memories into works of art. We know how important it is to take time in knowing you and all the details about your special day. Our goal is to satisfy every client's event naturally and expressively. We highly recommend the fantastic service that Glare art offered us in the organising of our wedding day. From the outset, we knew that Glare art wedding team would prove invaluable in the big day, and we were never once proven wrong. We thank all of the team at Glare art for allowing us to have the day of our dreams, it will never be forgotten! GlareArt photography teams work is really outstanding. They capture every moment in life with utmost perfection. The best photographers in kerala I can say with my own experience. 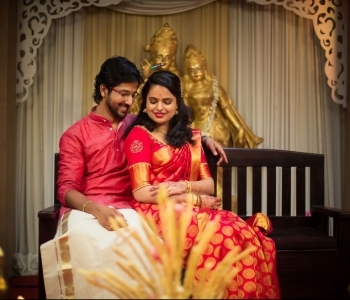 Thank you glareart for such a beautiful capture for my sister's wedding and engagement. Photography team were really professional. And no words for save the date video. 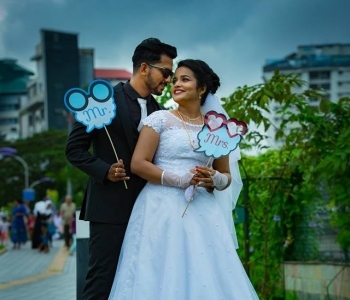 Thank you so much..
Glare art team were very professional at the same time very friendly with everybody around.They captured the moments with perfection.The timely responses for providing quote and to my surprise they provided the photos which i wanted on the same day itself which i don't think everybody does. The best team which i could suggest to anyone and very impressed with all their services. I wish all the very best to your team. 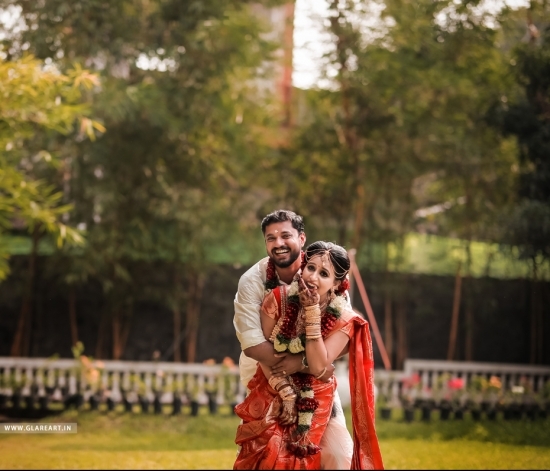 Thanks GlareArt for making my wedding so memorable by catching all the precious moments in your camera. You guys were so professional, from the scratch, by sending the quotations of packages included. Quotation was so transparent that there were no hidden charges. Your entire team were so cooperative through out. We were so comfortable through out the photo session and shootouts. We were truly satisfied with the kind of output you guys gave to us whether it be photos or wedding highlight videos..It truly valued the money.. Keep up the good work. GlareArt we wish you all the best for your future ventures. My wife and I were very particular that our wedding photographs should be understated and not at all flashy. Sanil and rest of the Glareart team understood our expectations, they constantly checked with us and ensured we were comfortable throughout the photo sessions. Glareart team were not at all pushy and over-bearing which we appreciated a lot. The outcome was very impressive, the video and the album was very tastefully done and exceeded our expectations. Thank you, Glareart, for capturing our wedding so beautifully. I came across Glareart Photography through Facebook and was not really convinced they would do a great job. But still I gave them a call just to check them out. Instead of asking me to come over or discuss things through phone, Sanil & Babu came all the way to see me and my family. After the fist meeting itself I was sure that these people are gonna do a splendid job as they were really clear about what they wanted from us. And every meeting thereafter confirmed my decision to choose Glareart Photography. From the planning stage to the execution stage they were right beside us and they do a great job of not making us feel nervous. They have a super awesome team who are really hardworking & super efficient. I should also not forget to mention Lijina who does all the magic but behind the scenes. During the planning stage she made sure that all the communications I provided her reached Sanil and Babu on time. Once again thank you Glareart team for making my dream wedding photography possible. You guys are gonna go a long way!! All the best !